If asked, would you be able to recite the square root of pi? Without a calculator? However, if you put on this Super Nerd Accessory Kit, there will be absolutely no need for actually knowing the square root of pi. You will look like the smartest person in the room, without having to be a math major. 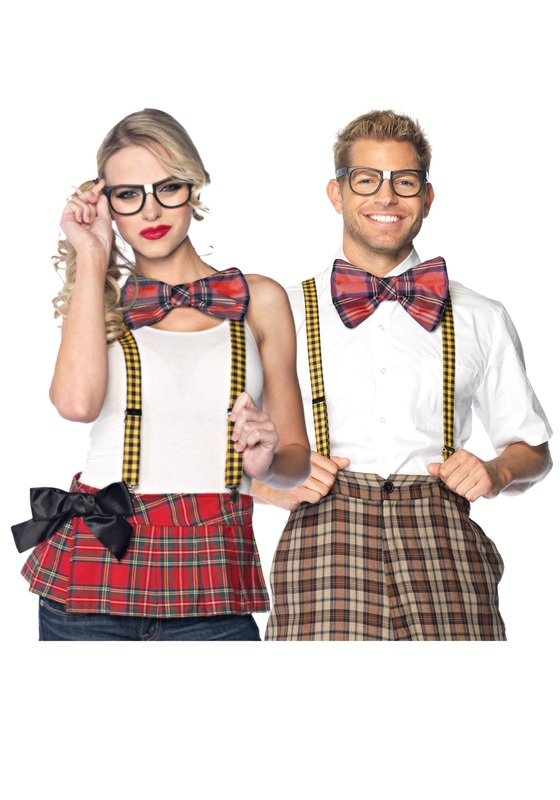 The thick framed glasses, plaid bow tie, and checkered suspenders will bring out the nerd in anyone, and can be paired with any outfit. So, put on this accessory kit, grab a slice of pie, and be the hit of any party!